Even though it is a bit sad that it took until May for all of our winter gear to finally be packed away for good (you just never know when it might still snow here in the Midwest! ), there is no doubt that the arrival of spring and the impending summer has everyone happy. The sun is shining, the flowers are blooming, and the ability to throw open our closets and pick from the bright, cheery, warm weather clothing (and not layer it under five other items) always brings a smile. Where have you been all winter, bright yellows, pizazz-filled pinks and bold turquoises? Around here, there is no doubt that all of these colors and more have been on display even more lately thanks to the arrival of our newest high quality apparel from FabKids. 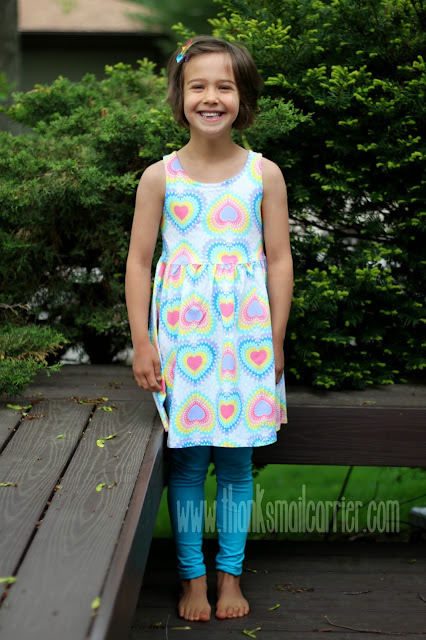 We were thrilled to join the FabKids team last month and, without a doubt, Little Sister B couldn't wait to see the colors, styles and fashions that were going to be introduced for May. Would there be more high quality fabrics, age-appropriate designs, and comfortable-yet-chic looks? 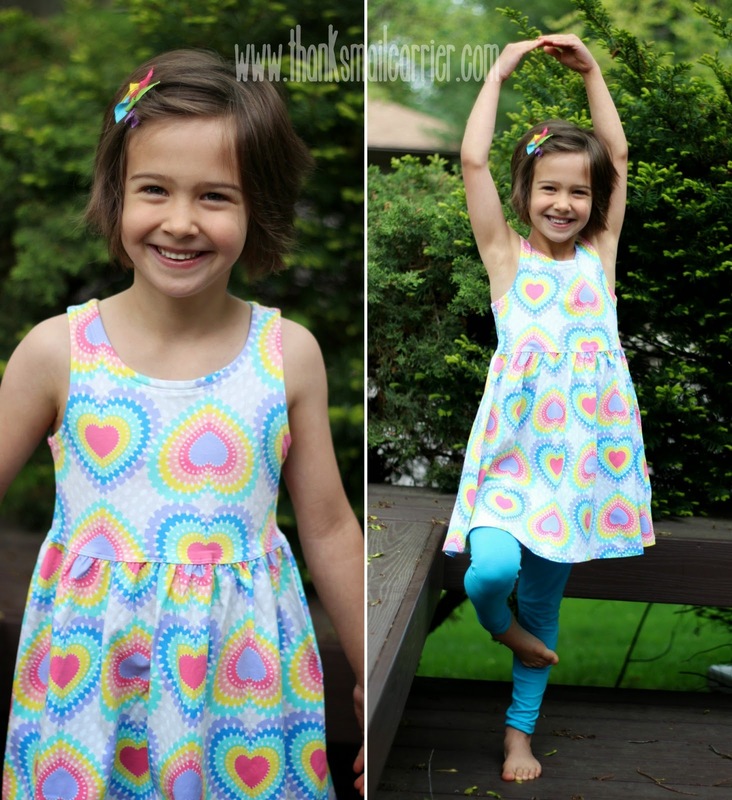 I wasn't surprised when Little Sister B chose the Rainbow Hearts Outfit as her favorite and, with the arrival of this dress and leggings set, I could tell that she was over the moon with her choice. But I really couldn't blame her, as does it get much more fun than this? The Rainbow Heart Skater Dress is not only adorably appealing with all of the bright hearts in varying colors, but the durable, stretchy fabric feels smooth and soft on your skin. The little pleats along the waistband give form and shape to the dress while the bold pink zipper down the back is lined for safety and ensures a quick and easy fit. Add in the classic (ultra soft!) Fab Soft Legging in pretty much any color and this outfit comes together just right. Little Sister B has adored wearing her new FabKids clothing to school (and has received multiple compliments) and comes home each time telling me about the new friends or teachers that have commented on its cuteness. Who doesn't love hearing that? 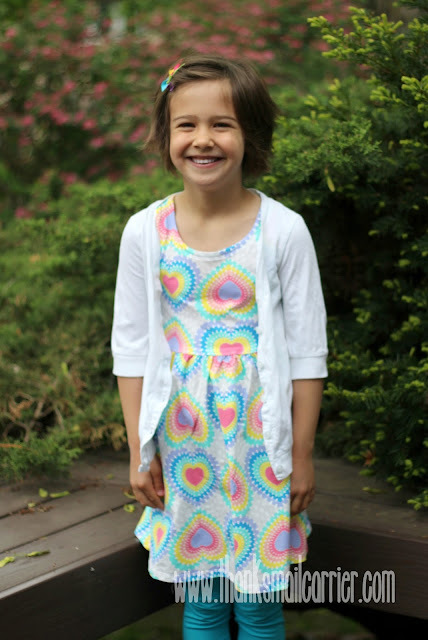 In fact, she has already declared how excited she is to to head into Memorial Day weekend in this great outfit! 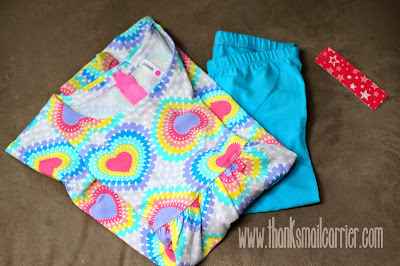 Our plans include spending time with family, heading to a major league baseball game and more, and all my stylish little fashionista needs to do is bring along a light sweater in case the wind picks up or for when the sun goes down and she will be all set to soak up the fun and sun of the holiday! Once again FabKids has shown that they are the place to go for kids that love fashion and for parents that love quality, style and comfort! 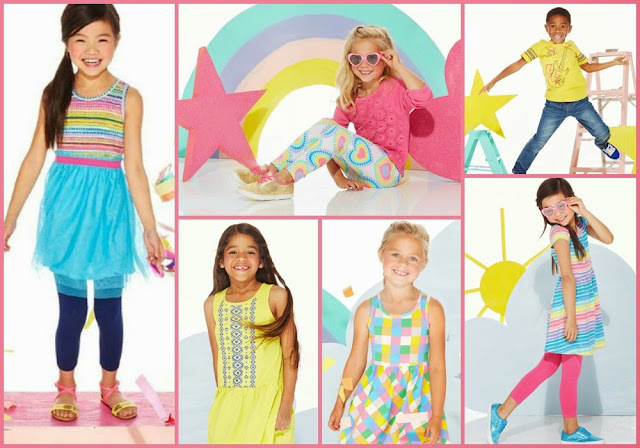 Every outfit they offer is age-appropriate and colorful, while being designed to work at home, at school, on the playground and more. And remember that while pricing for Regular Members starts at $42, once you sign up as a VIP Member (which is free and can be canceled at any time), you'll receive outfits for $29.95, with items that start at $14.95 and shoes from $16.95. VIP Members also rack up reward points, earn special savings, and more! To find out more about FabKids and the ways that they can effortlessly style the children in your life from head to toe, visit their website at FabKids.com and connect with them on Facebook, Twitter and Pinterest. Other than the Rainbow Hearts Outfit that we received from FabKids in order to facilitate this review, I was not compensated or enticed to do this post in any way. This review is solely my honest opinion about this site and their products. 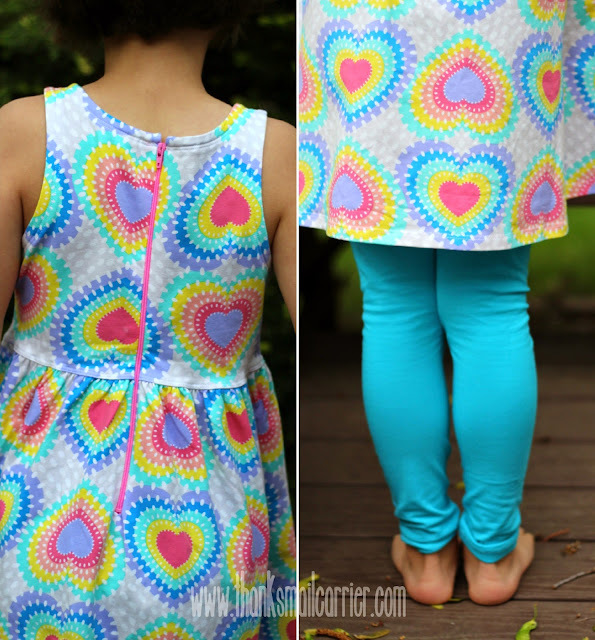 Love the bright colors of the heart dress! Super cute. That's an adorable outfit. I can't believe how grown-up she looks.